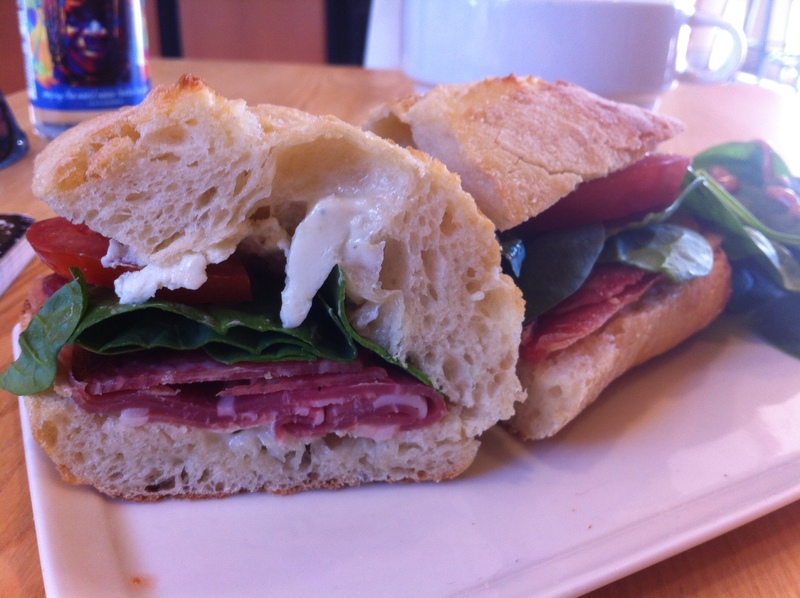 Located in a southwest valley office park, Baguette Cafe is one of the great secret sandwich spots of Las Vegas. Walk in and luxuriate in the smell of baking croissants and baguettes, instantly driving your hunger into overdrive. There are no bad choices when it comes to fresh-baked bread, but this is a particularly creative sandwich. Meaty, oily salami proves the perfect counterpoint to the delicate, buttery prosciutto, and both are layered liberally. It's veg'd up with some green leaf lettuce and tomato, then the chef masterfully uses softened blue cheese in place of mayo or other spread and adds walnut crumbles for an intriguing crunch. Of course, the perfect baguette could make any ingredients sing, and this is one perfect baguette.